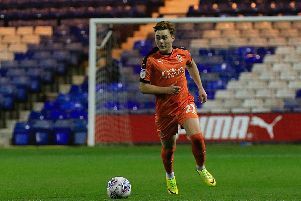 Luton’s performance in their 5-1 win over Plymouth Argyle on Saturday has been likened to that of Manchester City’s derby day victory against Manchester United recently by former QPR and Millwall manager Ian Holloway. One of Luton’s goals has already gained internet fame as they produced a superb 16 pass move before Harry Cornick found James Justin to make it 3-0 with a close range finish. Although it was some way off the 44 that Pep Guardiola’s team managed in their 3-1 triumph over the Red Devils, Holloway, who was also in charge of the Pilgrims earlier his career, speaking on the EFL Quest highlights programme, said of Luton’s display: “Absolutely amazing, I had the pleasure of watching it, I would have paid to watch it myself it was that good. "You can only play in your own level, but everything they did was almost as good as Man City did against Man United last week because you're against another team. “I take my hat off to Nathan Jones as every single one of them was brilliant. The manager in which James Collins completed his hat-trick also drew praise from Holloway, as he added: “This is brilliant, terrible defending, but what a connection and look how easily he finishes that.